12 article(s) trouvé(s) pour "Tie clip"
Rhodium-plated 925 silver pendant of baroque form and whose surface evokes the movement of water. 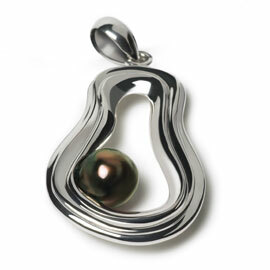 A Tahitian pearl of diameter 10/11 mm and of dark color is housed in the lower left of the design. 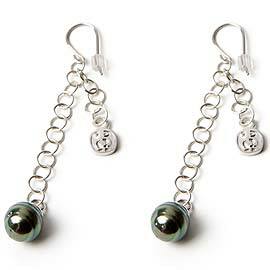 Ear post earings each one featuring 10/11 mm Tahiti Cultured Pearl. 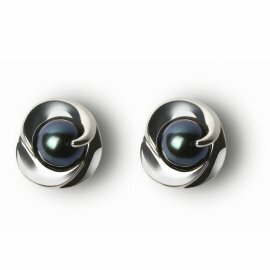 Distinct colors for both of them, and setted in patterns whose design symbolises "three half-moons" in rhodium-coated silver 925°/oo. 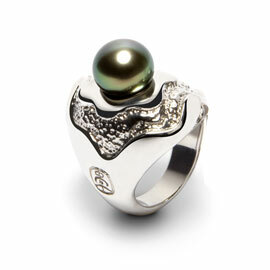 Rhodium-plated 925 ‰ silver ring whose upper part of the curvaceous body is reminding stars surrounding a Tahiti pearl of diameter 10/11 mm and of dark color. TAHIZEA logo identifies this ring. 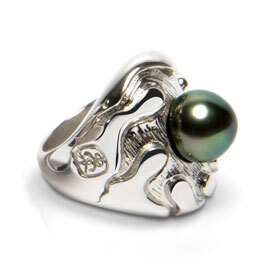 Rhodium-plated 925 ‰ silver ring whose upper part of the curvaceous body is reminding flames surrounding a Tahiti pearl of diameter 10/11 mm and of dark color. TAHIZEA logo identifies this ring.